The Centers for Medicare & Medicaid Services (CMS) has announced that it is investigating a new payment model(www.cms.gov). The model would have CMS directly contracting with Medicare providers and suppliers, such as physician group practices, to provide care for a defined population of beneficiaries. In return, these contractors would agree to be held accountable for the cost and quality of care they deliver. Under a primary care-focused direct provider contracting model, CMS would pay participating practices a fixed per beneficiary per month (PBPM) payment. 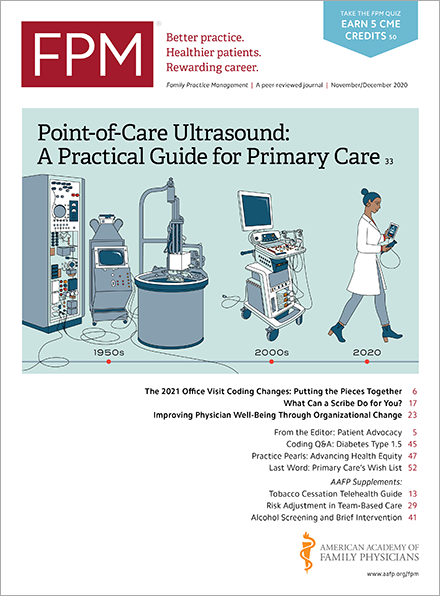 The PBPM payment would cover the primary care services the practice would be expected to furnish, such as office visits, certain office-based procedures, and other non-visit-based services covered under the Medicare physician fee schedule. It would also offer flexibility in how otherwise billable services are delivered. In addition to the fixed revenue of the PBPM payment, practices could earn performance-based incentives for total cost of care and quality. Finally, CMS could consider ways to reduce administrative burdens for practices by changing how practices submit claims for services included in the PBPM payment under these models. CMS wants more input from the public to help design and release the model and has issued a related request for information (RFI)(innovation.cms.gov). You should submit any comments to the CMS Innovation Center at DPC@cms.hhs.gov by 11:59 p.m. EDT on May 25.